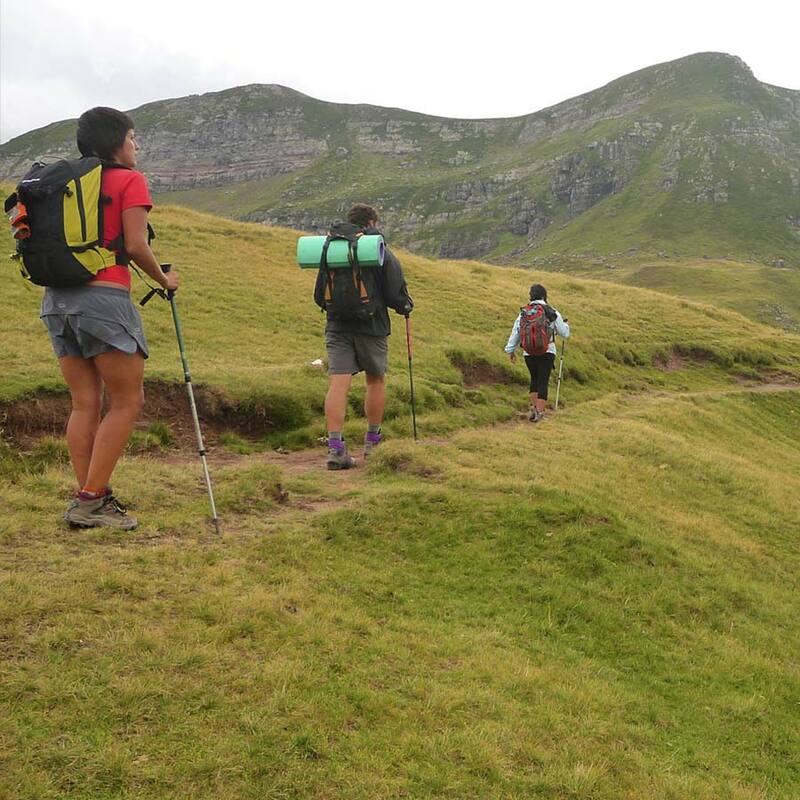 With mountain experience and adequate physical preparation, each stage of the walk will take six or seven hours at a moderate pace. 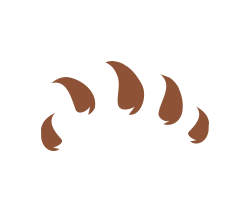 Total height gain and loss is + – 1.200 metres per day. The route is well-used. 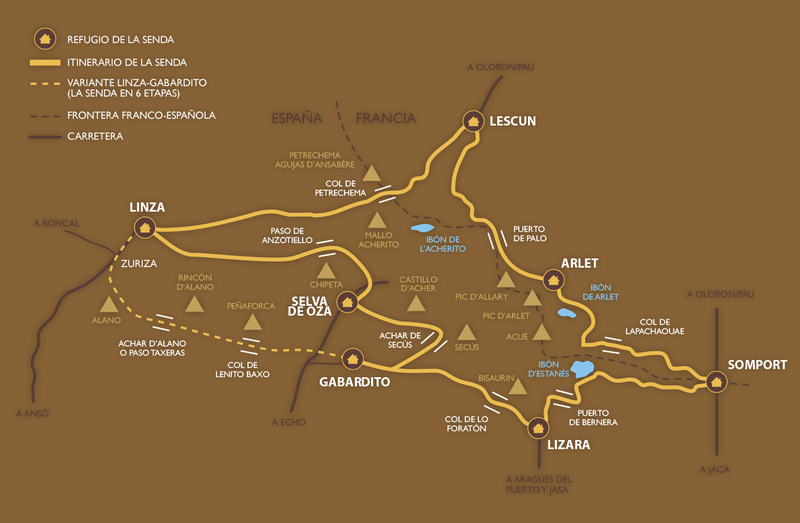 There are parts which coincide with the GR11, with the Haute Route Pyrenean or with the Camino de Santiago. High up you can find snowfields, shale slopes and steep, rocky stretches. La Senda de Camille as such is not marked, although there are some route markers, commonly cairns (piles of stones) and the red and white GR markers. Compass and map reading skills are therefore essential. If you are physically fit but inexperienced in mountain walking, you can still enjoy the splendorous of this trek by going with one of our mountain guides. Your subscription guarantees you the reservation of your places at each hostel, GPS tracks and all the information and support you may need before and during the trek. 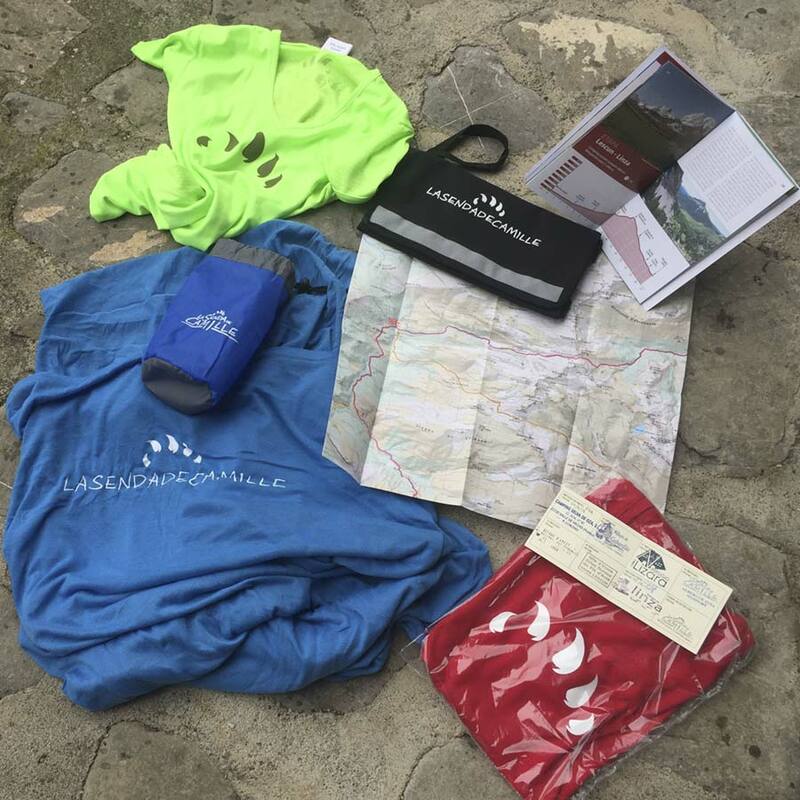 Also included is a pass to be stamped, a map (1:25.000) and guide-book, a map case, a sheet sleeping bag and an exclusive gift at the completion of the walk. We can recommend a specific insurance for the trek. Only 17 € per person and you will be covered for the whole trek. To reserve a place on the Senda de Camille you can either do it through the website or by sending an email to info@lasendadecamille.com. This is the only way to guarantee your accommodation in the refuges and hostels and to receive the material that is included with the reservation. There is a deposit of 50,00€ per person payable upon reservation. The total payment for La Senda de Camille must be paid ten days prior to starting the trek. If the reservation is made within 15 days of departure, full payment must be made.  You must present the Reservation/Invoice at each refuge. In the event of giving up during the trek, please let us know as soon as possible. A limited refund is only possible if there is a justified explanation and you give us advance warning. 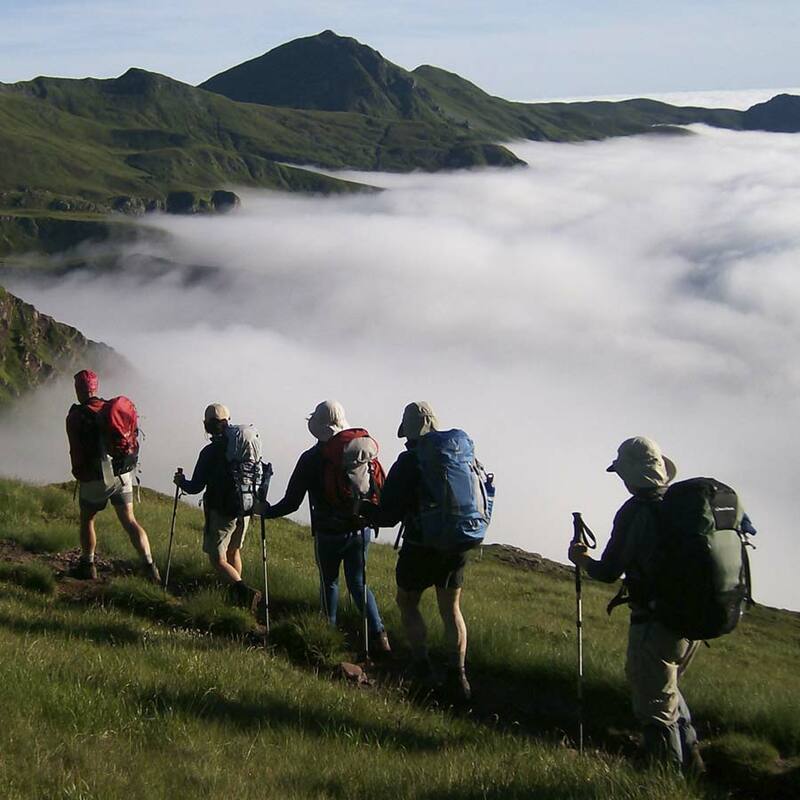 If you have no mountain experience, we are able to provide a guided trek.